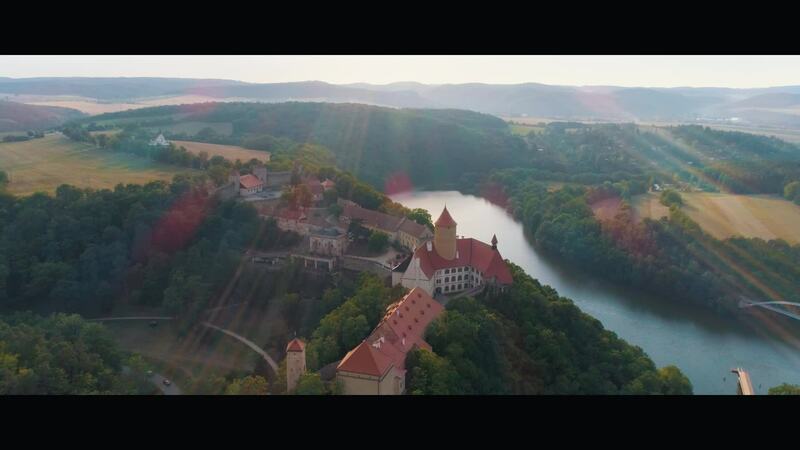 OCDrone created this drone video of a well known castle in the Czech Republic. Veveří Castle is located just a few miles from Brno, the second largest city in the country and the largest in the Moravia region. It likely dates to the 13th century, although some sources suggest an earlier construction date. It fell into a ruinous state, but in 1830 was purchased by a member of Swedish royalty who refurbished it. It fell into a state of disrepair again in the 20th century but was partially restored in the 1990's. Description: Veveri is a castle in the west of the Brno city district Bystrc, about 12 kilometers northwest of the center of Brno on a rocky promontory above the Brno dam, which is supplied by the river Svratka. It is one of the largest and oldest castle complexes not only in Moravia, but also in the Czech Republic.